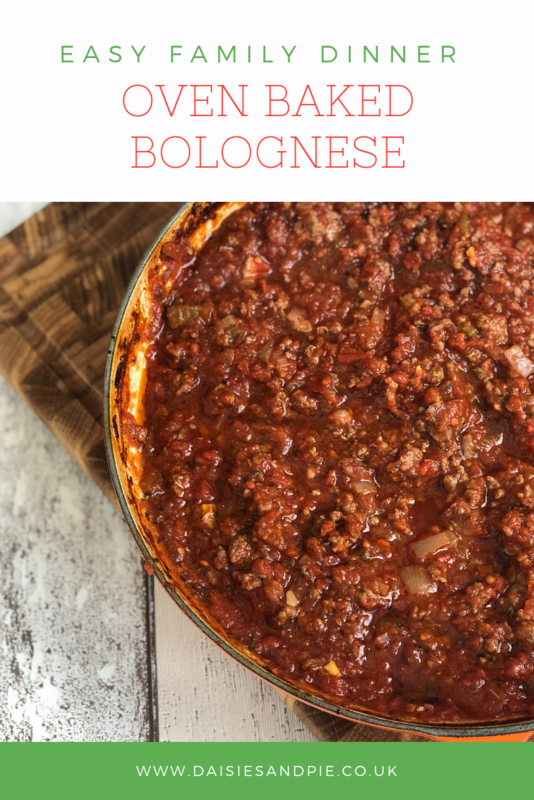 Oven baked bolognese is by far my favourite way to cook bolognese sauce. It gives the sauce a richer depth of flavour which leaves it tasting amazing! 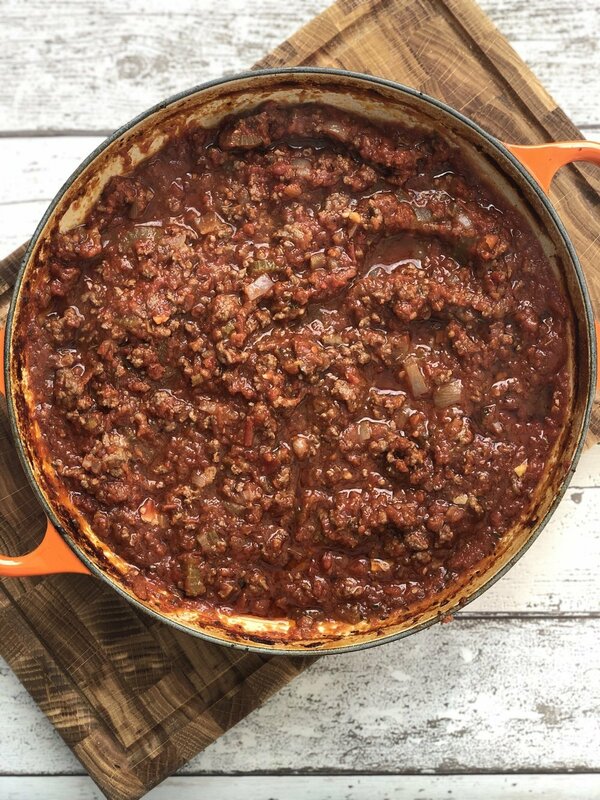 I use polpa tomatoes for oven baked bolognese rather than simply chopped tomatoes – the polpa have more tomato juice and the tomatoes are much finer which give the sauce a great consistency – it’s definitely worth buying them. In an oven proof casserole pan with a lid - heat a splash of olive oil and gently fry the onions, garlic and celery for around 10 minutes over a low heat until softened. Tip in the wine, polpa tomatoes, herbs, sugar and season well with salt and black pepper. Bring the pan of sauce to the boil and then put on the lid and oven bake for around 1 hour - 1 hour 20 minutes. 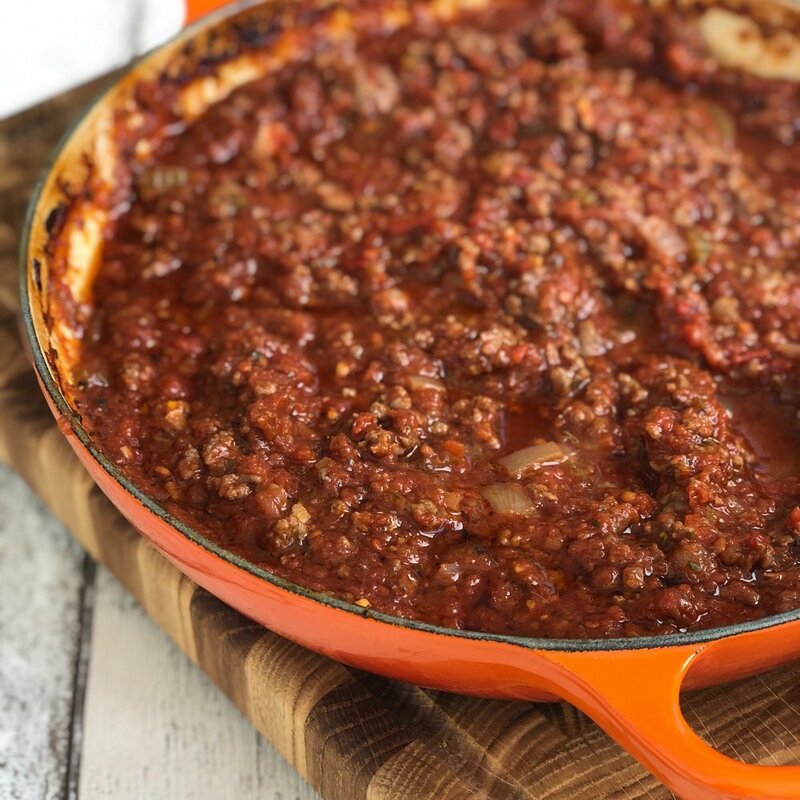 If you’ve got kids then hiding veggies in bolognese sauce might be your thing – try adding finely chopped mushrooms, peppers or grated carrot to the sauce. Delicious stirred through freshly cooked spaghetti or with gnocchi – just add a side salad.